Vita & PlayStation Mobile game on its way to iOS devices. 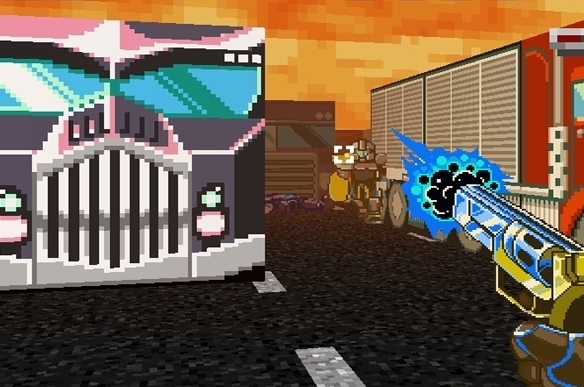 Following the release of Gun Commando for PlayStation Vita and PlayStation-certified mobile devices, publisher Ripstone Games will release its retro shooter on the App Store later this month. You can check out a video of the game in action below. Blending first-person shooting with a retro shoot 'em up flavor, Gun Commando features 20 alien stronghold assaults, a clever comic-book feel to the artwork, and a host of juicy and upgradeable weapons. We'll let you know as soon as we get a firm release date from the publisher.